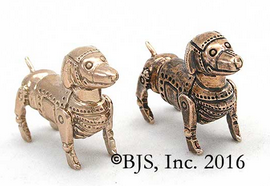 12 days until Christmas, Gentle Reader, if that’s your thing. Here is a bit of fun from the Finishing School Tumblr. 1. 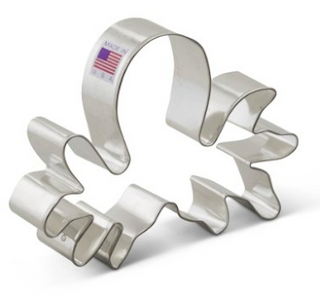 Octopus Cookie Cutter ($6). 2. Octopus necklace ($7) for any member of the OBO who doesn’t want to get a tattoo. 3. 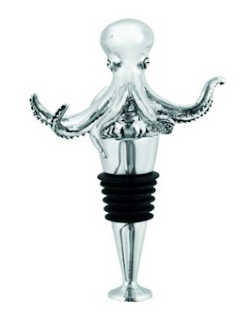 Octopus Bottle Stopper ($12) for those who prefer wine over tea. 4. 1800s Balloon Art Airship Stainless Steel ID or Cigarettes Case ($14). 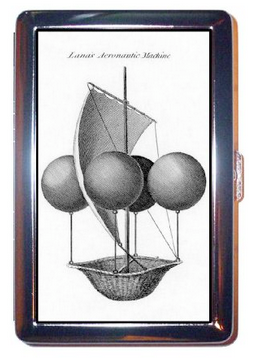 This is the airship design that the Flywaymen air dinghies are based off of in the Finishing School series. 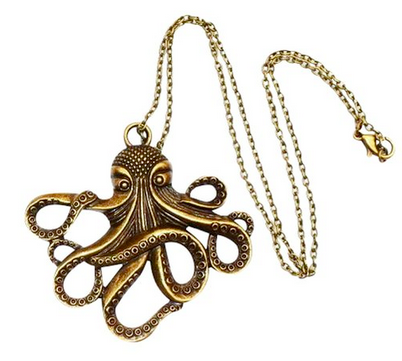 Or if you’re buying for a big OBO Madame Lefoux fan, the same company makes versions of this case with octopus on the cover. 5. 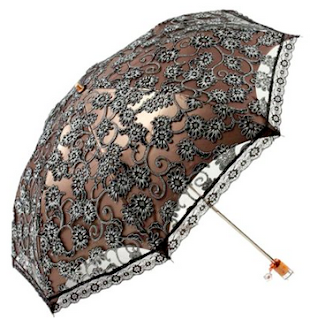 Lace overlay parasol (not good for rain) $13, comes in range of colors. 6. 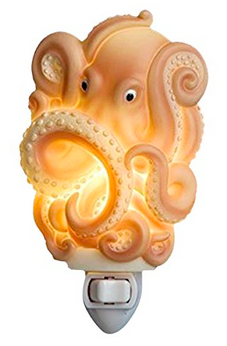 Wonderful Ocean Octopus Nightlight ($18) that I might have to buy for my office. So cute! Perhaps Quesnel had one of these while a child. 7. 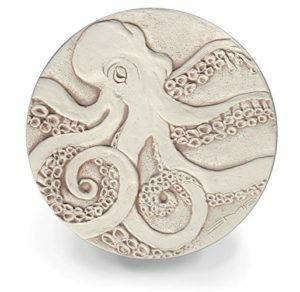 Stone Octopus Coaster ($25). 8. 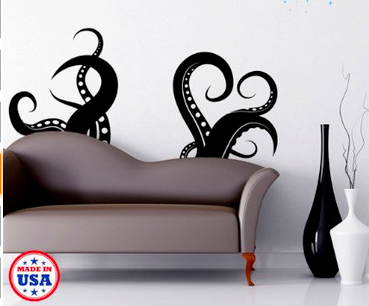 Tentacles Wall Decal Sticker ($30). 9. 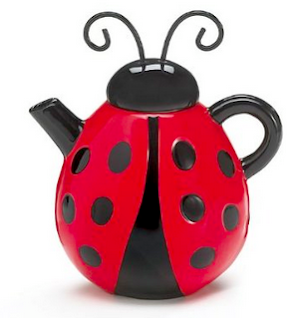 Lucky Ladybug Shaped Teapot ($18). For Primrose to serve tea aboard the Spotted Custard. 10. 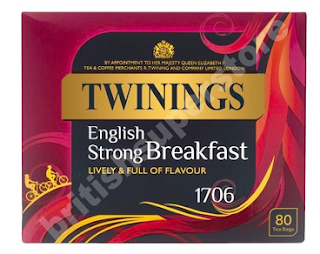 My favorite tea, Twinings 1706 Strong ($12). 11. 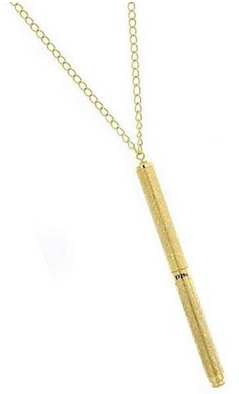 Gail’s favorite Necklace pen ($20). 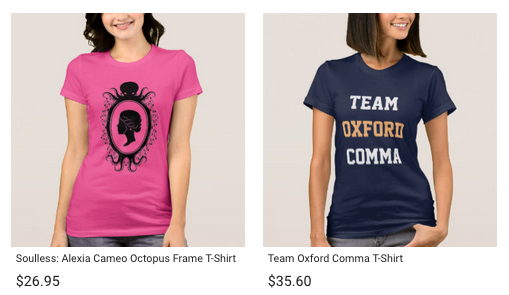 I own both and wear them constantly. Standard gel refills. Also there is also my Zazzle shop full of Gail Carriger branded merchandise. 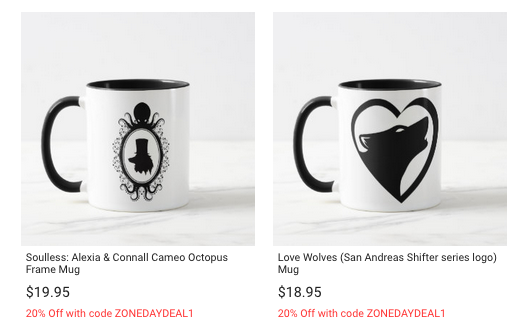 Everything from t-shirts to mugs to buttons. I like your holiday suggestions, but if you really want to know my Christmas wish list, I would love additional stories about Channing Channing of the Chesterfield Channings or Felix. Because, you know. Happiest of Holidays, and thanks for sharing a slice of your mind with us all! No too far away, but it’s coming. I must say, he will keep popping up, like a bad penny. I too would adore seeing dear Channing more frequently (especially with Imogen)! And, dear Miss Gail, I resent that the Twelve Days of Finishing made me cackle in a very quiet library. I do believe that yon bespectacled gentleman is judging me now. Hmph. Oh dear, my apologies! Yes Channing is on the docket. Don’t you worry.